In the world of the ancient Celts the horse held a particularly divine place in their culture. As mystics and shamans, the Celtic people viewed all life as intertwined, connected at the source (as seen in the art of Celtic Knotwork). 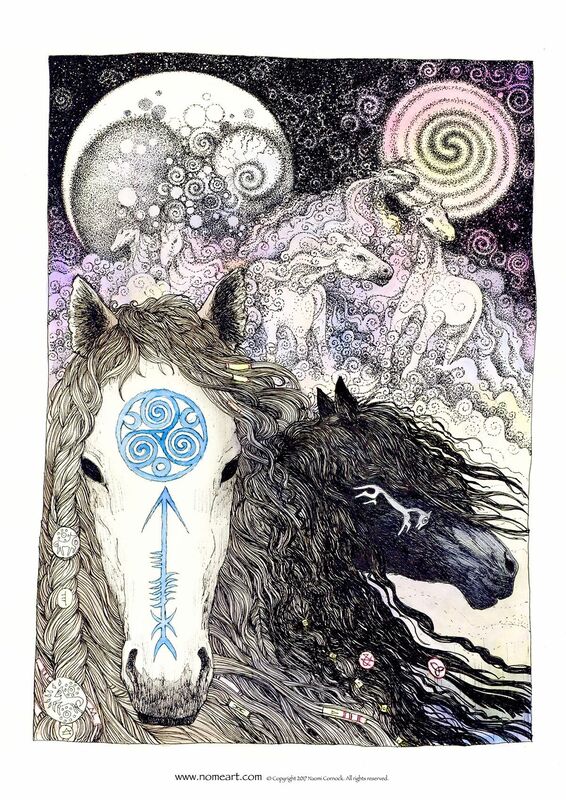 In Celtic lore, Horses have strong associations with the Gods, particularly Epona who manifests as a horse who protect the Earth, show us the future and guide humankind with sure-footedness. Epona’s name means “mare” and she was one of the few celtic Goddess that Romans worshiped. 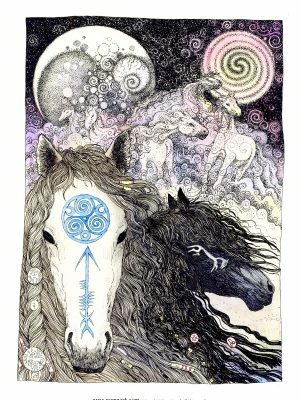 The Celtic Horse is symbolic of freedom, independence, travel across time and space, life and death (white horse / black horse), service to others and self. To horse I ask, guide me on how to break free from all that hinders and binds me.